Wolves in Eastern Oregon’s Harl Butte pack could be wiped out. It’s up to us to save them. Just nine wolves, including three pups, make up the Harl Butte pack. The pack ranges across eastern Oregon’s woods and mountains, but four of them have already been tracked, hunted and killed by the state of Oregon in 2017. The state has already ordered that another four be killed, and some ranchers have requested that the entire pack be wiped out. In the 1900s, we nearly hunted wolves to extinction, and they were entirely wiped out in Oregon. 2 They returned for the first time just 18 years ago, and there are still barely more than 100 wolves in the entire state. 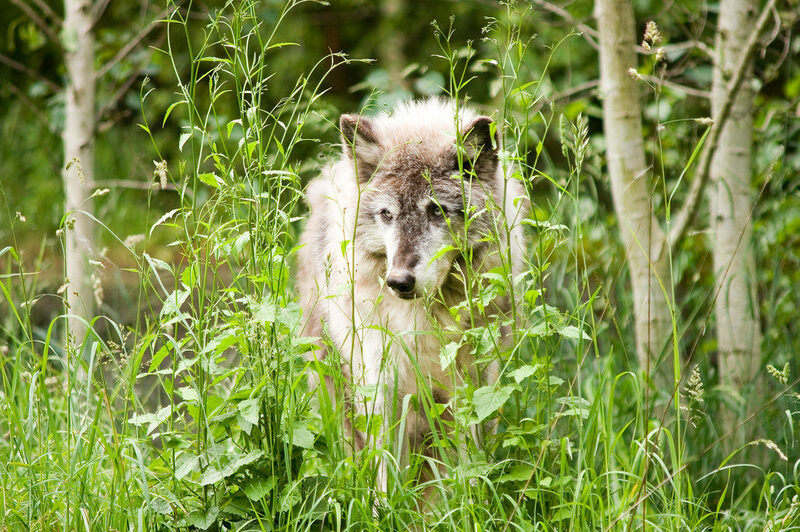 Unfortunately, this isn’t just happening in Oregon — Washington, Idaho and other states also actively hunt wolves for similar reasons. They hunt them from aircraft and bait them with sweet-smelling poisons like cyanide traps.5,6 But right now we’re focusing on Oregon as the most likely place where we can stop this senseless killing. Take action. Urge Oregon Governor Kate Brown to end state-funded wolf killing. Support our work. From Congress to the Cascades, we’re working to protect wolves. Your contribution will help us do more to save these magnificent animals. 1. “Harl Butte Pack,” Oregon Department of Fish and Wildlife, Accessed Oct. 18, 2017. 2. “Idaho Wolf Crosses Into Oregon,” CNN, February 24, 1999. 3. Eric Mortensen, “ODFW approves killing two Harl Butte pack wolves,” Capital Press, August 4, 2017. 4. Amaroq Weiss and Wally Sykes, “It’s time to stop killing Oregon’s wolves (Guest opinion),” Oregon Live, September 13, 2017. 5. Madeline Farber, “Why Washington Decided to Kill Off Once-Endangered Wolves From Helicopters,” Time, August 30, 2016. 6. Cassandra Profita, “Conservation Groups Sue To Protect Wildlife From ‘Cyanide Bombs’,” Oregon Public Broadcasting, April 4, 2017.